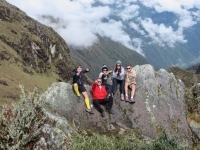 The time with Inca Trail Reservations was absolutely great. During the trip, I met interesting people and we got a lot of fun together. Our guides were excellent. They take care of us and provided us with all necessary information. 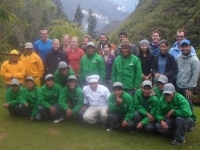 Our guides, the porters and the cook made the time very comfortable and unforgettable. Raul and Marco were the perfect guides all along the way. The encouragement they gave us propelled us up the mountains, through the rain, to the summit of not only the tallest peaks, but also to the culmination of our personal pilgrimages. Our guide was extremely helpful during the entire trip and the entire group was so much fun. To be quite frank, Machu Picchu has been on my life bucket list for quite some time since I was little and I am so happy to have gone through this adventure with Inca Trail Reservations! 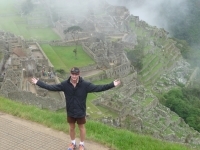 The Inca Trail was amazing, it exceeded my expectations and more! Day two is very changeling but extremely rewarding. 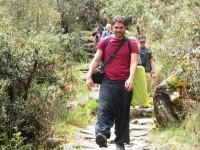 The Inca Trail Reservations take care of everything. You have the choice to hire a porter to carry some of your belongings, the porters also set up all the tents and wake you with tea in the mornings. 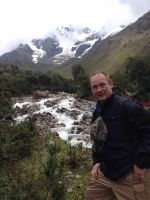 My experience at Inca Trail Reservations was fantastic. The reservation process was online and easy and my confirmation came within hours. There was an 800 number to call which was great for last minute questions. 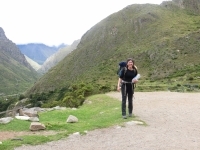 From the moment we arrived at Inca Trail Reservations it felt like we were not only in safe hands but on an adventure. They made sure that we knew what was coming without knowing too much... no surprises were ruined! 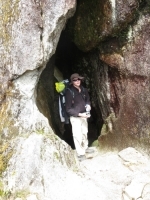 First and foremost, I am not an avid hiker. 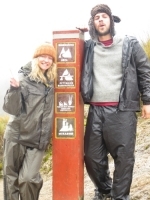 That being said, Inca Trail Reservations was the most amazing company with whom I could have ever hoped to trek the Inca Trail. 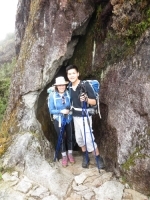 Our guides, Raul and Marco, were consummate professionals, encouraging, courteous, and patient. It was a terrific experience. Good guides,nice group of people to travel with and great food as well. Very helpful if you have any questions or concerns. A great father-son adventure. The tour guide was very accommodating for both generations. 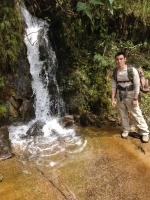 The trek is quite the challenge, but it gave my son and I a great time to bond during the challenges. My experience on the Salkantay Trail was amazing. We ran into some trouble at first with the protests going on at the time, but Salkantay.Org was able to work through it. Though right before the trail started, I and my friend experience a theft in our hostel, however the trip stuff is extremely helpful. They not only took a long time patiently waiting for us finish the police report, also helped us reorganize our stuff in the last minute. I am just getting back to work but will never forget the memories of my trip to Machu Picchu with Inca Trail Reservations. The trip started off well with the pick up van arriving right on time at 5.30am in front of our hostel. Our tour leader Gerson was there in the van to meet us and help load our luggage onto the roof. Once everyone was picked up Gerson started informing us of what was ahead for the day. 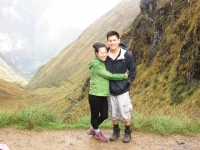 The Machu Picchu Inca Trail is something I've wanted to do for a long time. I've been traveling the world for 5 months and it was one of the best things I've done during this time.